As the 2011 season draws to a close, let's look back at Topps first full decade of set production, the 1950s. 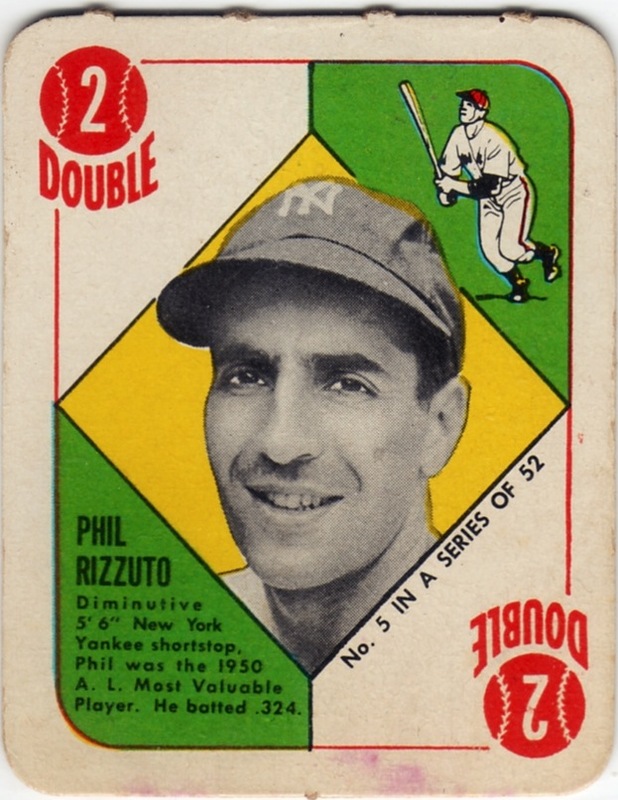 They tinkered with sports as early as 1948 (Magic Photos set profile), but 1951 ushered in their unbroken run of baseball-only cards that continues to the present. 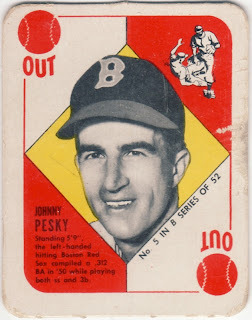 60 years later, Johnny Pesky still works for the Red Sox. Amazing. 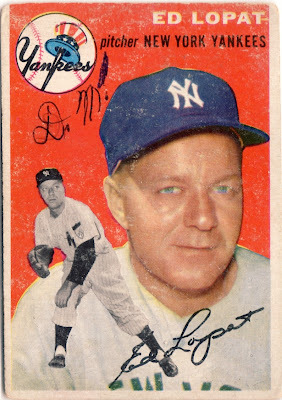 Scooter at his best, in 1950's MVP season. Larry's counting his seven children. Like the painted clouds and skies in this set in spite of myself. Kind of Bob Ross-y. "D. M." added by young collector. Dungeon Master? Dirty Money? Double Moonpie? 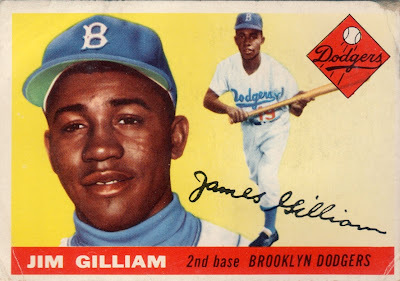 A patient man at the dish, Junior Gilliam walked 100 times (!) 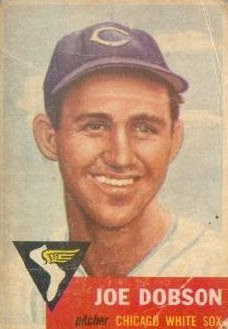 in his 1953 Rookie of the Year campaign. 2011's NL leader (Joey Votto) only had 110. 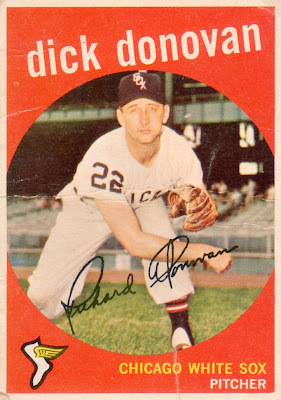 One of my favorite-ever cards. 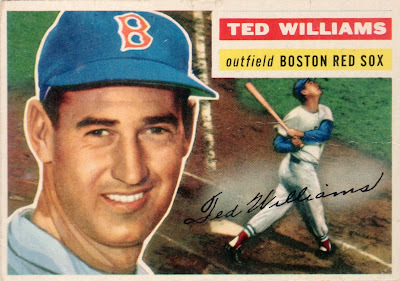 But is Ted hitting a pop-up? 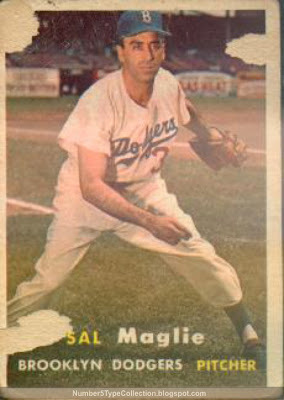 Sal "the Barber" Maglie, but not the kind you want close shaves from. First year after moving to San Francisco, Willie led the league in runs, steals, and on-base-plus-slugging (OPS). 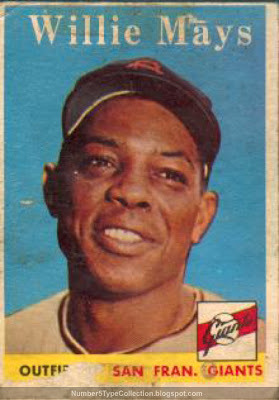 Finished second in MVP to Ernie Banks, who hit 47 homers. Award voters dig the long ball. Always thought of 1959's circle-inset photos as the "James Bond" set. It just needs a crosshairs and some silhouetted ladies. Great cards. 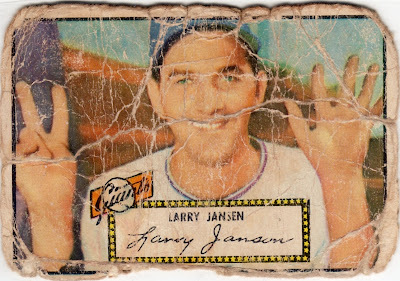 How many people did it take to make the Larry Jansen card look like THAT? No doubt, that Larry Jensen looks like at least 7 kids had their hands on it!